Locksmith Guelph has a texting number! If for some reason calling doesn’t get through, feel free to text this number – 226-887-2859 – Please be sure to put your name in the text as well as the problem you are having. We will be sure to respond as quickly as possible! Also, be sure to add both numbers to your contact list! Locksmith Guelph is a family owned and operated mobile locksmith business based out of Guelph, Kitchener,Waterloo, Cambridge, Ontario. Our normal business hours are M-F 8am-4pm. 24/7 after hours and emergency services are available most days. Please leave a message and a locksmith will return your call as soon as possible. At Locksmith Guelph, we want you to know that we are a local, friendly, family owned and operated business. We also want you to know that we are looking to make your experience with us quick and easy, especially in an emergency. When you call our number, our very knowledgeable locksmith answers your call directly, not some operator sitting in front of a computer. He can answer any and all questions you may have, whether it’s about a rekey for a property, or making a new car key. If we are on the other line with another customer, please leave a message with your name and issue and he will be sure to call or text back immediately after completing the other call. Most people don’t realize that locksmiths can make and program chip keys and remotes. Guelph Locksmith carries a large selection of chip keys, remotes, and proximities. If you want to know if we can make/program your key, just call 226-887-2859 and ask! We are happy to help! Locksmith Guelph does not charge any fee if a child/pet is locked in a vehicle. Safety is important and we are here to support our community in a scary situation such as locking your child or pet in the car. Do not panic, just call 226-887-2859. 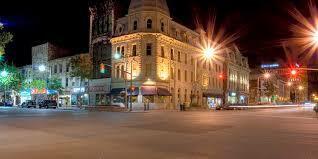 Locksmith Guelph is also an expert in residential locksmith services. When it comes to getting you back into your home, we have a quick response time and good prices. The question we get asked the most is, “Can you rekey all the locks in my house to the same key?” The answer to that is: Yes, as long as it is the same brand of lock. Some of the most common household door locks are Kwikset and Schlage, but Guelph Locksmith is able to rekey any door lock. We also deal with high security lock brands such as Medeco. Because we are a mobile locksmith service, our locksmith travels in his own mobile warehouse filled with all the tools, parts and equipment needed to complete any of the services we offer. Regardless of if you need to replace the push bars on your fire door or replace all the locks in your building, you can be sure that you will never have to wait for the part to come in. The reason you can be sure is because our technician keeps his mobile service unit fully stocked. 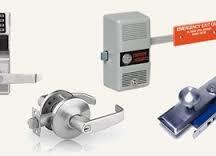 This allows us to complete any type of commercial locksmith job right there on the spot. By keeping a full stock of the parts we need to secure your business, you are able to be at ease. In the rare case we do not have the exact part you need on our truck, we will still be able to properly secure the premises so no further damage can occur while we get the part you need installed for you as quickly as possible. Some of the brands that we service are Kwikset, Yale, Schlage, Best, and many more. Locksmith Guelph has provided exceptional commercial locksmith services to many office buildings, apartment complexes, retail shops, restaurants, government offices, schools, hospitals and small business locations in Indian River County. So no matter what type of business you own, you can be sure that Locksmith Guelph is the best choice for all your commercial locksmith needs.